It's a clear-cut case of thanks, but NO thanks! 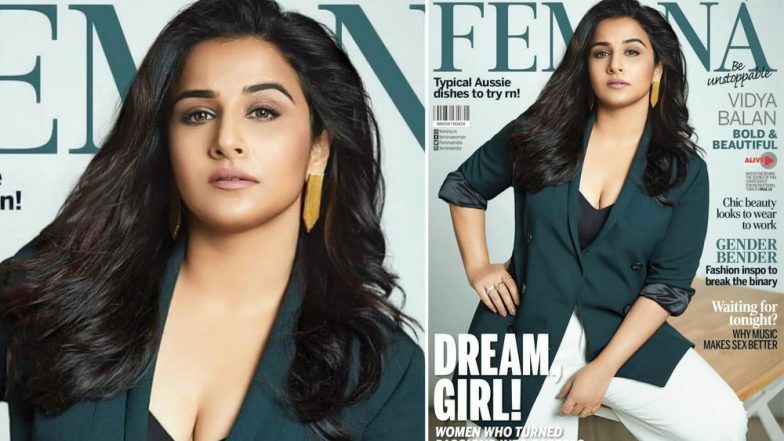 Vidya Balan is expressing her gratitude for this visual. But, truth be told, this cover has let us down. It looks like as if Vidya has been plastered on backdrop for what seems like the last-minute job. The end result has manged to draw a big whatever from the stylists in our office. This ain't just flawed. This is a pure blooper that we would just like to forget. As if Vidya never shot for this one! The attire she has donned (the rolled up shiny sleeves are totally off putting). The colors used here are depressing to say the least. If that's not enough to make this cover boring, Vidya's badly done hair and accessories used call for the much-needed redemption, style wise! Mayawati Biopic: Has Vidya Balan Been Roped In to Play the BSP Leader? Vidya rocks a saree any day. She is not great, but can really surprise us sometimes when she slips in western outfits. But this one is a complete no-no. Even the pose and the poise are not exactly working in favour of this picture. On the work front, Vidya Balan was last seen in Telugu film ‘N.T.R Kathanayakudu’ And currently, she is gearing up for her Tamil debut. The untitled project is the remake of Amitabh Bachchan and Taapsee Pannu starrer crime-thriller ‘Pink’. We are equally excited about Vidya playing politician Mayawati!